The recipes in this book include ingredients that can be foraged - or found at your local farmers market. Based in Brooklyn, South African born Viljoen feeds herself and her husband year-round on the plants she forages opportunistically in honey holes tucked away in Prospect Park and Jamaica Bay, among other places. While her instructive cookbook will provide foragers with loads of stovetop inspiration for the feral fruits and plants they gather, Viljoen emphasizes that she wrote the book just as much for home cooks and farmers’ market shoppers who love to eat and cook. “We’ve been using the same herbs, spices, and vegetables within our own cultures for generations yet some of these foraged plants speak to older, unexplored traditions of eating,” says Viljoen, who believes all creative cooks hunger for novel ingredients and flavors. 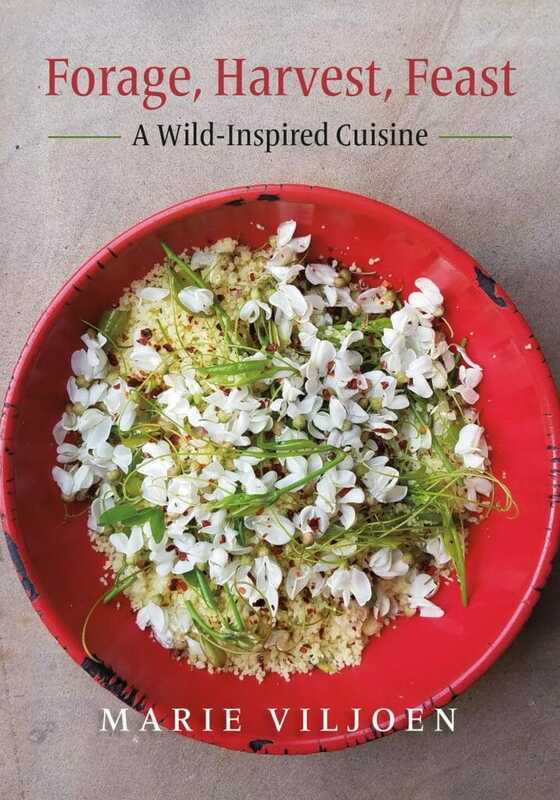 To get at those wild, unexplored flavors, Viljoen’s 454-page hardcover hones in on 36 of the most versatile wild plants, offering botanical info, collection advice, and recipes for everything from cocktails and snacks to entrée and desserts – even preserves, vinegars, and syrups. She delves into the character and flavor of each plant and champions underutilized natives such as bayberry, pawpaw, and spicebush as well as invasive albeit super-nutritious species like Japanese knotweed and mugwort. The book’s nearly 500 recipes run the gamut from a simple compound butter seasoned with field garlic to a hearty stew made with lamb, nettles, and little-known sow thistle leaves. Viljoen also includes instructions for exotic cocktail ingredients and pantry staples: think elderberry gin, wisteria vinegar, juniper syrup, even spicebush salt, all made with plants that just might be growing outside the kitchen door. Read on for three of Viljoen’s wild and inspired recipes. Recipes adapted from Marie Viljoen’s Forage, Harvest, Feast: A Wild-Inspired Cuisine (Chelsea Green Publishing 2018) and are reprinted with permission from the publisher. Feta and sumac are classic Middle Eastern companions to most wild leafy greens, including dandelion, a weedy, wild perennial that can frequently be found at farmers’ markets throughout North America. 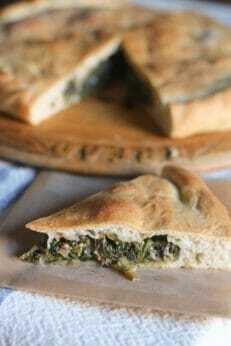 This hearty recipe also works well with spinach and chard. For the dough: In a pitcher, combine water, yeast, and sugar and allow the mixture to bubble. In a large mixing bowl, add the flour and salt, then pour in yeast mixture and oil and stir well until a cohesive dough forms. Turn dough out onto a board and knead until it feels silky, supple, and elastic and does not stick to your fingers, at least 10 minutes. Form dough into a ball and place in a clean, lightly oiled bowl and cover. Allow dough to rise until it has doubled in size, 1 to 2 hours. Return dough to a floured board and knead for a few seconds. Divide into 4 pieces and allow to rest covered for 10 minutes more. For the filling: In a large covered pot over medium heat, cook dandelion greens with lemon juice and salt until completely wilted, about 10 minutes. Refresh the greens under cold water, then drain and squeeze out as much water as possible. Chop the greens roughly and transfer to a large bowl; add feta, sumac, and pepper and toss well to combine. To assemble: Preheat oven to 450°F. Oil two baking sheets. Roll 2 of the 4 reserved dough balls into 10- to 11-inch rounds. Gently wrap one round around your rolling pin and transfer to a baking sheet. Readjust its shape if it stretches in the transfer. Heap half of dandelion filling onto the dough and spread it out, leaving a ½-inch border. Wet that edge with water. Place the second rolled-out disk on top of the first, covering the filling. Press down and crimp the edges. Cut steam vents in top of pie and bake until golden, 20 to 25 minutes. Repeat with remaining dough and filling. 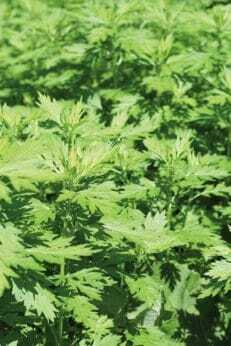 Nutritious and abundant, mugwort grows just about anywhere. One of Viljoen’s favorite roasted mugwort recipes, these fragrant potato wedges are delicious served with runny eggs, roasted mushrooms, or grilled steak. Preheat oven to 450°F. In a large bowl, toss potatoes with olive oil, mugwort, and salt. Place potatoes in a single layer on a baking pan and roast, turning once or twice, until brown and tender, about 55 minutes. 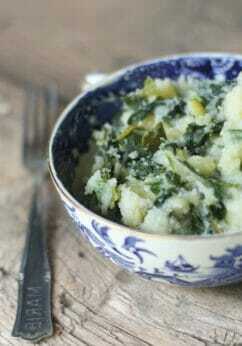 A traditional South Africa comfort food, potele is a restorative, earthy meal made with cornmeal and vegetables. Any wild edible green, including amaranth and nettles, can be used, but the dish lends itself especially well to lamb’s quarters, a common plant (some would say weed) that tastes like chard and has a heftier texture like collards. Bring a large pot of water to a boil. Add lamb’s quarters and blanch for 1 minute. Remove and drain. Mix the cornmeal with some water to form a loose slurry, then pour the mixture into a large pot. Add a generous pinch of salt and cook over medium-high heat, adding more water and stirring, as the cornmeal thickens. Add blanched lamb’s quarters and butter to cornmeal mixture and continue to cook until cornmeal is thick, for about 10 minutes more. Taste the porridge and season to taste with salt. Serve hot.